If you’re considering the use of brick paving as part of your landscaping plan, it’s helpful to have a clear understanding of the material. Here we look at the properties of brick paving. Clay paving bricks usually come in face sizes of 4 by 8 inches, but other sizes are available. Face sizes are also available in both 3 5/8 by 7 5/8 inches and 3 by 7 inches. Thickness can vary between 1 1/4 inches and 2 1/4 inches, the latter being the most popular. 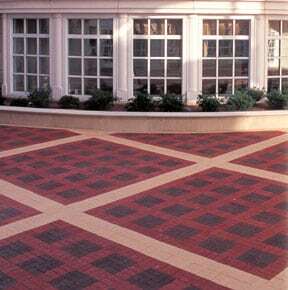 Clay paving brick comes in a variety of colors, including reds, browns, pinks, and buffs. Other earth tone colors are available, and practically any combination can be found. When taking the time to choose the perfect color for your project, it is reassuring to know that the color of the clay paving brick chosen will never change. Cleaning, when necessary, is easily accomplished with the use of a hose and a little detergent. To ensure the durability of the product, it is important that all clay paving brick meet ASTM C 902 standards. 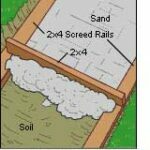 The standards used to test brick used for walls and brick used for paving are different. Brick used for walls is not made to endure pedestrian traffic or light vehicle traffic. If you install a brick that does not pass this test, it is quite possible that the brick will crack and/or disintegrate after a few years. Various colors of paving bricks can be mixed to create stunning patterns. ASTM C 902 testing standards, which are specific to paving brick, ensure that paving bricks are able to withstand higher levels of moisture, foot traffic, and light vehicular traffic. This standard also accounts for the tremendous strength of clay paving bricks, which usually surpass the minimum weight requirement of 8,000 pounds per square inch. Clay paving bricks resist most stains, with the exception of efflorescence, a white powdery substance that sometimes appears and washes away over time. To avoid efflorescence, calcium-chloride deicers should not be used. 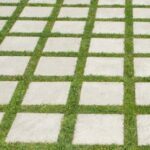 The cost of both clay pavers and concrete pavers are more than asphalt or concrete; however, long-term durability and aesthetic appeal must be factored into an assessment of the cost effectiveness of any paving option. Most segmental paver installers lay both clay and concrete pavers for the same price.